← Theme: Sports, with Style! Reduce, reuse, recycle — sounds simple, right? And most days it is, but just think about the amount of throw-away waste all of the big-bash wedding celebrations must accumulate over time. Brides today are more environmentally conscious than ever before, and many have opted to go with eco-friendly alternatives to nearly all aspects of their weddings. From wedding decorations to guest favors, there are a ton of ways to reduce your wedding waste — you just have to find them. Here are a few tips I’ve found to help you make it happen. Steer clear of synthetic fabrics and really white dresses. Rumor has it that the whiter the dress, the more toxic chemicals were used to dye them. So opt for an off-white shade for your gown instead. Natural fabrics such as organic silk, cotton and wool, bamboo, hemp and even soy are all available readily out there. As for decorations and guest favors, consider the “Hand in Hand” serving set made entirely of bamboo. The “Be green, just write” pen has an eco-friendly bamboo veneer, and the matching place card is printed on natural linen finish cover paper stock. It is acid-free, archival and made from 30% post-consumer waste. And nothing says “We love the Earth” better than natural rocks as place card holders! The multi-use tote and mini drawstring bag are both made from natural cotton. Place your favorite plant or other natural gift inside them for the perfect eco-friendly guest favor. 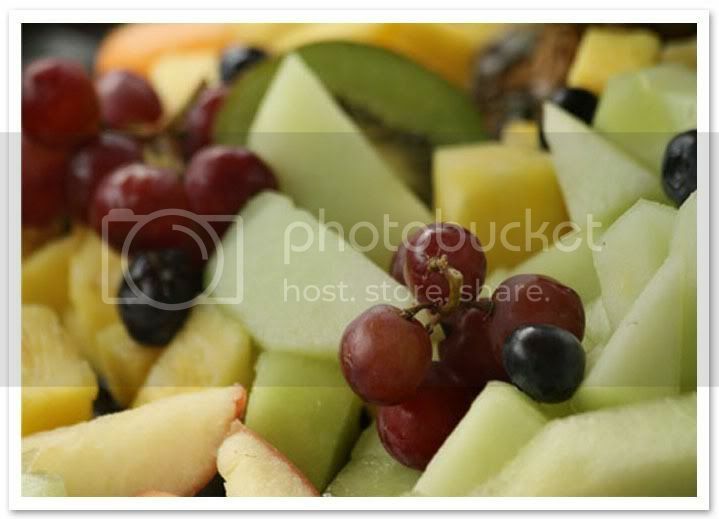 When choosing your caterer, think about and even ask where they get their supplies from. The less distance the food has to travel to get to your wedding, the better. Reduce gas emissions by choosing a local grocer or even farmer to supply some of the food such as locally grown fruit for a midnight snack fruit tray. Choose decor options that won’t cause any extra waste at your wedding such as biodegradable products that can be broken down by the environment. To create that romantic ambiance at your outdoor wedding ceremony, use natural rose petals to line the aisle instead of silk ones. They are biodegradable and won’t need to be picked up afterward. 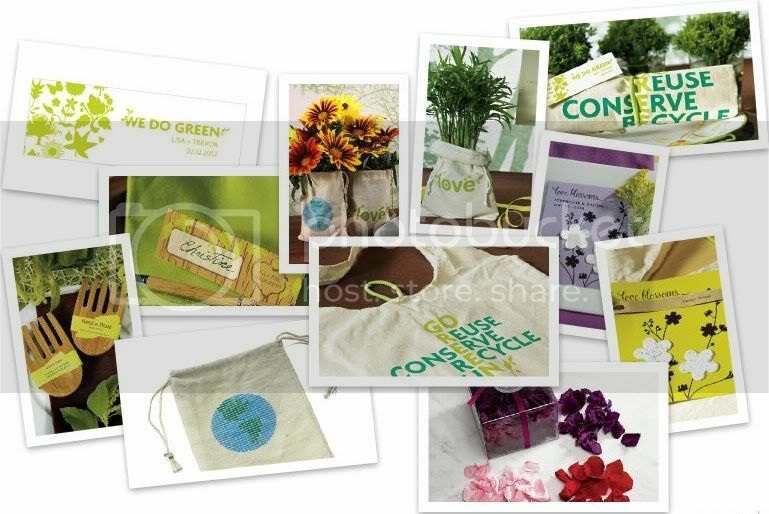 Give back to the environment with the “Love Blossoms” favor card. The two blossoms are made of paper infused with wildflower seeds. Guests can detach the blossoms, plant them and watch the flower grow. 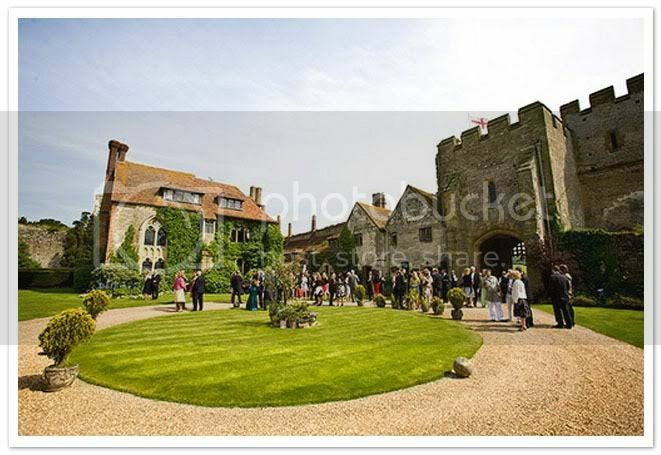 Choosing the venue for your wedding may very well be the biggest decision you’ll make. Consider somewhere that doesn’t need a lot of excess decorating. It will help you cut costs and won’t harm the environment. Have your wedding in a park or garden setting and let the beauty of the surroundings be your wedding decor. Photos included in this post courtesy of: Gordon Tarpley and Jonathan Day.